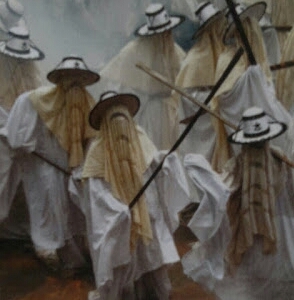 The Iconic EYO masquerades from Lagos. Culture has been defined as the ways of life of a people. It is dynamic, defining and a complex whole which must be continually examined and mutually shared to be meaningfully appreciated. It is also of note that language which is equally defined as a ‘system of arbitrary vocal symbols through which a social group co-operates’ is its veritable vehicle. There is no better way then, to examine a culture than to examine its vehicle, language. It’s no brainer therefore that to know a people’s language is to know their culture. The British culture is contained in their language, English. 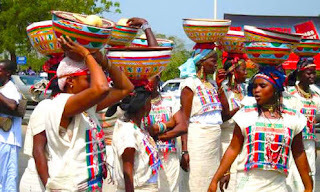 The Hausa/Fulani culture is contained in their language. 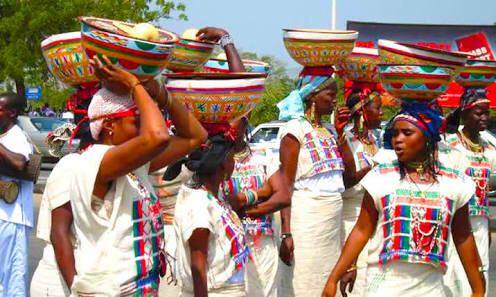 The Yoruba culture as well is contained in their language. 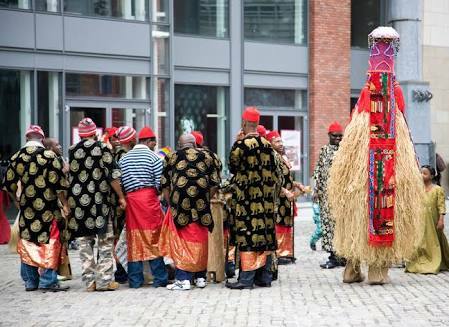 The Ibibio culture is contained in their language and so on and so forth. 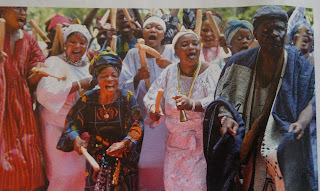 Whether by accident of history or divine providence, Nigeria as of today is a multi-cultural society. And this, no doubt, provides its people with more than enough to learn from because it boasts a staggering 350 or so ethnic nationalities. As such, it can be safely tagged a cultural mosaic or haven of sort which like I said earlier provides its people with massive opportunities for beneficial engagement culturally. Such cultural diversity it must emphasized can be a source of strength if properly harness for sustainable national growth and development and integration which more than ever before is in greater demand in today’s Nigeria. At no better time in its history does it people truly need more awareness of each other cultural intricacies than now when fault lines of all sort are increasingly being highlighted for political gains. While culture in a way divides; in a similar stretch it also unites. It divides because people’s differences are often highlighted when cultures meet. It equally unites because as people’s awareness and appreciation of each other’s cultural differences and similarities grow it brings about mutual respect for each other. Therefore, the benefits of cultural engagements among the people no matter their social or political class cannot be overemphasized. It is a course which must be promoted at all time and at all cost. Having said all that, it’s however baffling that in this age and time some Nigerians still engage in what one may call existential or cultural exclusivity by act of omission or commission. As a case in point, for three years now I have known a very lovely family from one of the many cultures in south-south geopolitical zone of the country which is guilty of this. And they live in Lagos, a mega-city long known and beloved for its classic upbeat lifestyle and irrepressible charm and urbane population. They have three lovely kids: a boy and two girls who were all born in Lagos to the best of my knowledge. Unfortunately these kids approximately ages 11, 8 and 6 respectively as far as I know cannot speak the most basic of Yoruba expressions not to talk of possessing the capacity to meaningfully engage their Yoruba peers in conversation in the same language which is the language of the native. To me, this is an unjustifiable misnomer. And there is nothing compulsively colonial about it. If it is their choice I want to respect it but I’m convinced that the gains of doing the right thing far outweighs the losses if there’re any at all. I might be wrong with the boy because I scarcely rub mind with him for obvious reasons that he never for once solicits my help as did his other siblings. At other times that we have conversed it was mainly in English language. This reality came to light only recently though I have been helping them (the two girls now) with their Yoruba assignments for some time. The last time out with them left a sour taste in my mouth as I ask the third born if she could speak Yoruba at all and she said no. Still in doubt that probably she was pretending, I asked her to read the title of the passage that I was to treat with her and she simply couldn’t. Then it dawned on me that something is wrong somewhere. Immediately, I felt very bad that all my efforts and that of their Yoruba teachers if they have any in the truest sense of it were being allowed to go waste. And the whole essence of Lagos State Government policy thrust which makes Yoruba Language mandatory for pupils both in public and private schools and visionary directed at preserving the Yoruba Language as the identity of the Yoruba race is being defeated. I’m aware that because of the multiplicity of indigenous languages schools private and public face uphill task of teaching them. It’s only wise then that Yoruba for instance alongside Igbo and Hausa were chosen as class subjects to be taught in Lagos schools. So, if a pupil has elected to study a subject, shouldn’t the needful be done on the part of the students and their parents to ensure learning take place. More so, the way I see it is that for the non-Yoruba families and their children resident in Lagos the Language chooses them whereas it should be the other way round. I think these kids are being forced to take the subject due to lack of options like I pointed out earlier and teaching capacity in their native dialects. That’s understandable but I honestly think most Languages/dialects can be learned best on the street when non-native families realize the benefits of their wards and children doing so. Like many others, Nigeria's ex-international football star Segun Odegbami whose life is an open book was born and raised in Jos, Plateau State where he spent the first seventeen years of his life. 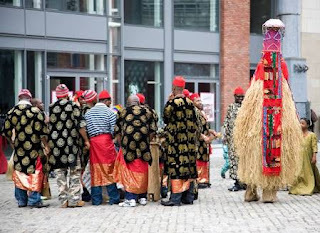 At the end of the day, he was able to learn both Hausa and Igbo which according to him were stronger in terms of presence compared to the Yoruba in the community. Today he speaks the two fluently. The fact that he could speak Igbo is even more instructive because it is not a language of the native unlike Hausa which has the advantage of proximity. Similarly, popular sports journalist Murphy Ijemba was born and raised in Mushin, Lagos. Today he speaks Yoruba Language fluently. Later in his life, he went for his university education at the Bayero University, Kano (BUK) and he ended up spending close to ten-twelve years up north. The good thing is he speaks Hausa fluently as well in addition to Yoruba language he had picked while growing up in Lagos. So he and Segun like innumerable others are more complete Nigerians if you ask me than many of us who consciously or unconsciously allow such opportunity to pass us by for whatever reason. From the example of kids whose story provoked this article, I strongly suspect the problem is a total lack of socialization at home; and not what their Yoruba teachers didn’t do in the class. To even imagine that they’re in some school environments and classrooms where the majority they confessed to me are Yoruba makes it worse. At the end of the day, I was only able to help her (the last born now) with those questions that come with options or requiring answers that are within my broad knowledge as a native speaker. On a more serious note, I couldn’t help as I would have loved to consistent with my previous engagements with a particular question which requires that she sings/writes the words of a Yoruba song that has something to do with cleanliness. To me, there was no need trying even though a few lines from the song in question ticks somewhere in my brain. And she left obviously happy with my efforts as usual. How ironic? Like I hinted earlier that I know what the problem was. From my observation in retrospect, I couldn’t recall when last the kids in question mingle with their peers in the house where they live. Even in their free time, they rarely do. Of course that is not where I stay but a few hours that I usually spend within that vicinity showed clearly that they’re always in-door after returning from school. And come to think of it the house is the regular face-me and face you like Nigerians called them though their section of the property can be likened to a self-contain which many affluent preferred because it guaranteed some level of security and privacy which they cherished a lot. But in their case, they are forming affluence for all I care and as a result using that as smokescreen for deliberately preventing their children from mingling with their age grades at home especially. And who can blame them though taken into cognizance problems associated with face-me and face you residential properties in most cities in Nigeria? Even at that, it’s still no convincing excuse for them and any other parents to remove or insulate their kids from socializing with their mates in the neighborhoods notwithstanding the associated negatives which are sometimes exaggerated that may come with it. Every situation in life is accompanied by negatives as well as positives and that does not justify anybody engaging in existential or cultural exclusivity. The universe is closely connected and we can strike a balance in our lives if only we consciously and adequately balance the opposites. The dangers of cultural exclusivity! Cultural exclusivity for whatever reasons has it dangers which must be sounded out to all. Like I pointed out at the outset of this post, language is the vehicle of culture. As such, the first thing people missed out on is the right by the virtue of residing in cultures other than theirs to speak language of the people among whom they live. That’s quite tragic in all ramifications. It is more tragic when younger generation is involved in this blatant downplaying of activities that are of value to us as human beings. The truth of the matter is, it is impossible to learn the culture of others without first learning their language. Learning the language is indirectly learning the culture. And it is a win-win for all. The first thing people who practice cultural exclusivity lose is that their wards and children would not be able to speak the language of their host which has a way of adding colors and value to theirs. Learning the language of their host affords them the chance to compare and contrast thereby deepening their humanity. Above all, it further enhances national integration which is what a country like Nigeria needs at this critical moment. I also think a time will come in the lives of these kids that they would feel bad they couldn’t speak the dialects of places they have lived all their lives because I know in their heart of heart they would very much love to but denied by their overly suspicious and protective parents. I personally cannot just imagine a scenario where people live long enough in a culture other than theirs and they came off without being enriched by that culture in the linguistic sense of it. I cannot! While the parents might feel they are too old to learn a new language, which is in any case fallacious; they should not in any way stand in the path of their children and wards that showed genuine intent to learn. Learning is faster at childhood for the reason of their highly impressionable mind. Cultural inclusiveness is what a country like Nigeria need at this point and always and it can be achieved both at the unofficial level as much as at the official level. I know for instance that if not for the policy of Lagos state government in this regard many families including the natives would keep their wards and children away from learning the Yoruba language. Of course their preference is English language because proficiency in it is seen as a proof of modernity and sophistication. While the policy is commendable, I will suggest that it should be looked into to find a better way at delivering the gain to those that are willing. The rest should be left to pick bits and pieces of the language from the street. My take finally is why children are assisted in becoming masters in English language it should not be at the expense of our indigenous languages for they’re our identity and must not be allowed to go into extinction or under appreciated.